Sometimes, it's fun just to play - and for me as a designer, designing a hat is like play - after all, sometimes you need a sample you can knit up in under a week! 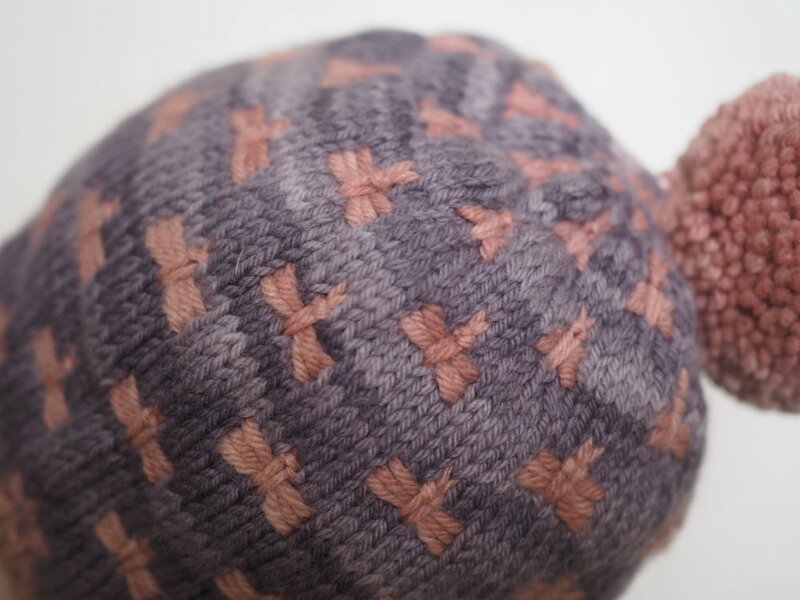 The product of my early winter play is this pair of hats - Sprout (blues) and Flutter (purple/pink). Both hats use simple construction and contrasting colors to play up fun-to-work stitch patterns that use slips and wraps to create texture. Quince & Co's Phoebe yarn, used in the samples, has a lovely kettle-dyed quality that lends extra depth to the colors. The samples were designed to be a closely-fit beanie/toque, but instructions are included for making your version a more slouchy, as desired. I would have loved to have some "on-head" photos, but Little Miss Cleaver has definitively told me, "Mama, no pictures." But she's consistently wearing Flutter, and that's a win in my book, so I'm not complaining. I'd also like to put out a special thank you to Patti, Katie, Maryellen, Jessi and Jodi for their feedback! The PDF Pattern contains both designs (for the price of one! ), and is sized from newborn to adult large. Use #mscleavercreations and/or tag me @mscleaver on Instagram!